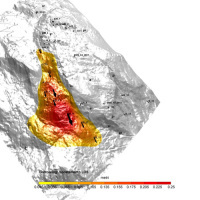 The 3DA software is a new procedure that allows retrieving in near-real-time 3D surface deformation models starting from data acquired via robotized total stations or others system that acquire the surface displacements. 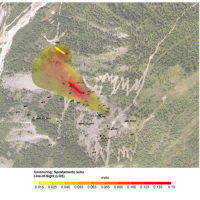 The measurements are first pre-processed and then implemented on 3D maps that include vector arrows representative of the intensities and of the real directions of motion in a given system of coordinates. 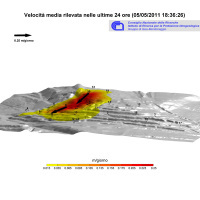 The 3D surface deformation models are finally overlain on a DTM and/or on an updated picture (orthophoto or perspective) of the monitored area. 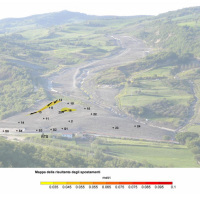 The correct interpretation of the surface displacements plays an important role in many landslide scenarios. 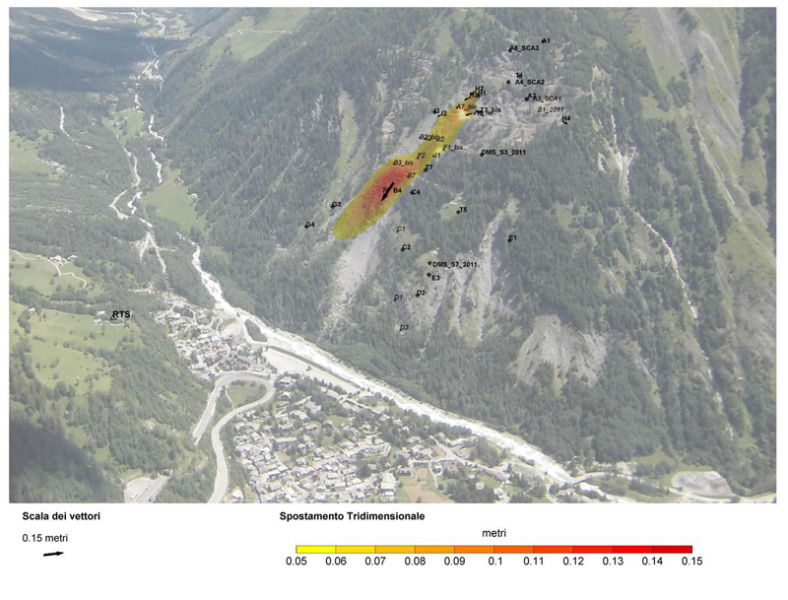 The goal of the 3DA is to give a simple and robust support to update the status of the monitored landslide. 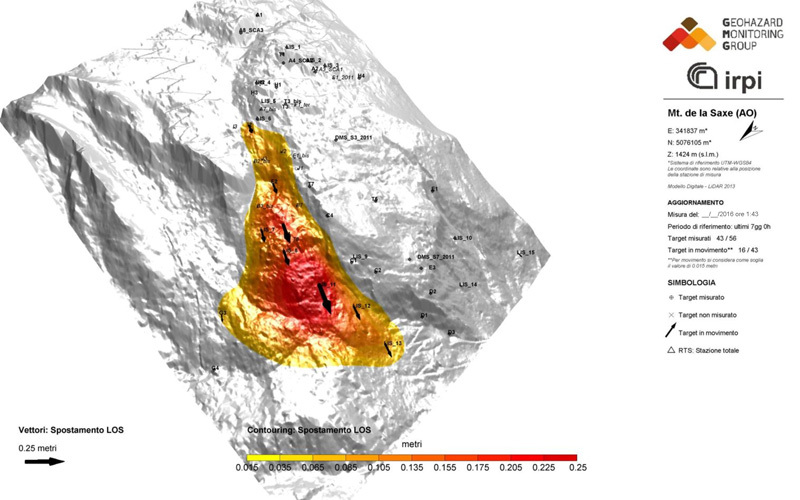 The system implements algorithms for analysis of monitoring data and can create interpolated displacement maps with vectors of displacement. 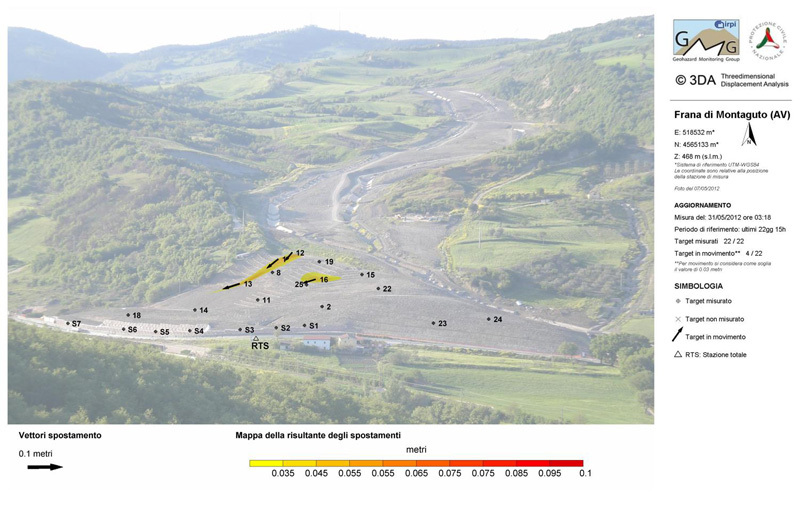 The system also allows to manage thresholds (warning/alert) and deploy predictive models. 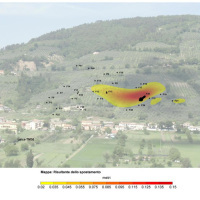 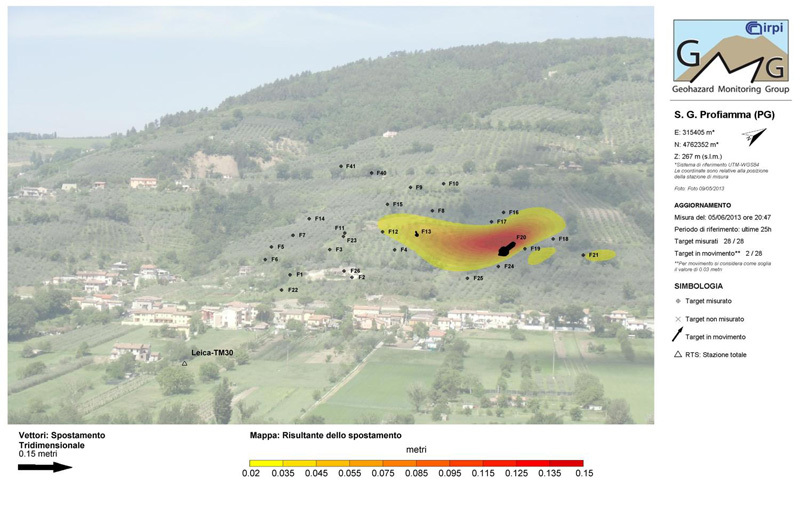 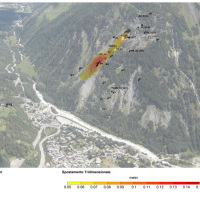 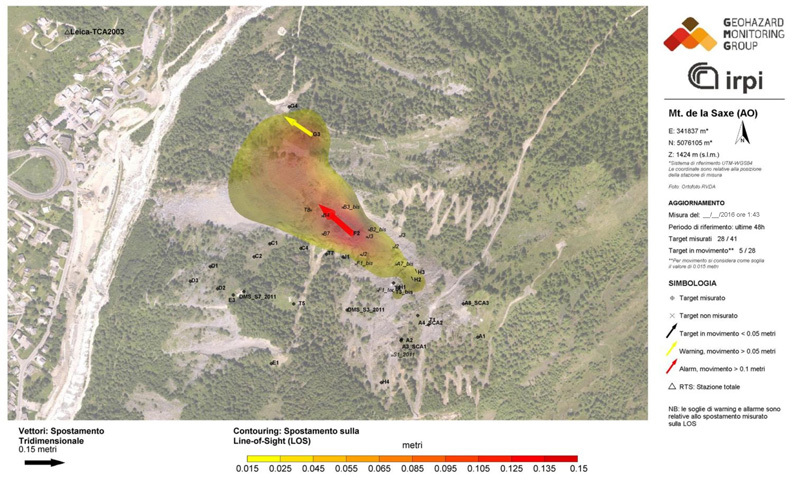 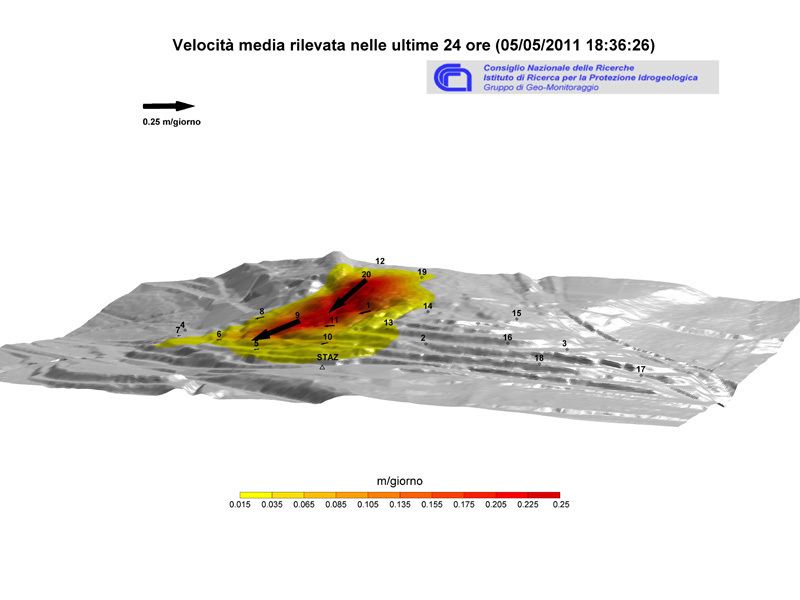 The system is used for analyzing many complex landslides in Italy such as: Mont de la Saxe landslide (Courmayeur – AO), Montaguto landslide (Montaguto – AV).